This is a refreshing look at what leadership means, and that it's not a matter of following a particular formula - leaders are forged by their context as well as their personality. Moreover, "we wrongly believe that what happened in one leadership instance can be replicated in another. This common understanding of leadership, when held up against the reality of how leadership actually works, reveals three myths:" the Formulaic Myth, the Attribution Myth, and the Results Myth. 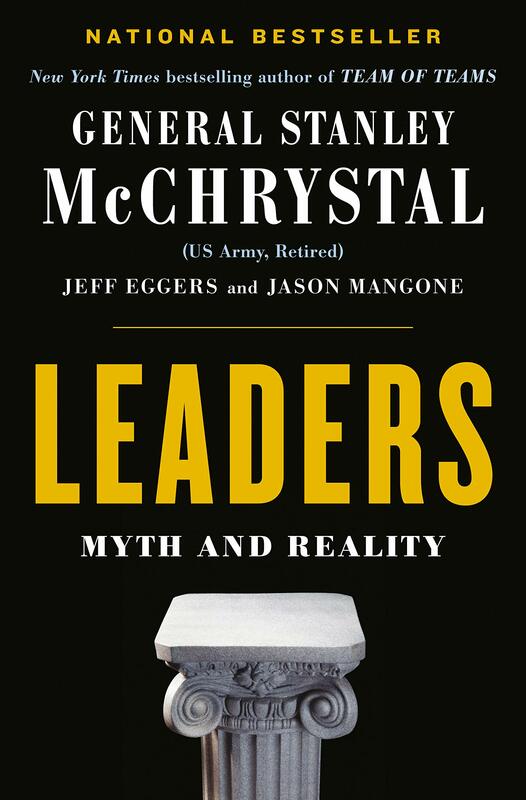 Modeled after Plutarch's "Lives of the Noble Grecians and Romans," McChrystal and his co-authors selected unexpected pairings connected by themes like Founders, Geniuses, and Zealots. My favorite was the chapter called "The Reformers" in which Martin Luther and Martin Luther King Jr are paired. They summarize their comparison with "Neither of our leaders intended to spark their movements, but each of them agreed to shoulder a burden at the moment that leadership was made available to them. While each of our reformers left an indelible mark as a leader, we attribute too much to them as individuals if we neglect the systems that asked for them to lead.... As leaders, they both leveraged new technologies - specifically the printing press and television - as if they had been invented expressly for their use.... Not only was there no common formula for reform, they were more often the symbols for a cause that the doers of change."